We have an aluminium door for every project and building type. 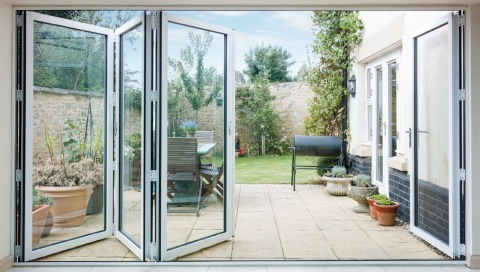 We offer bi-folding, sliding and residential doors for both new and refurbishment projects. We have an aluminium door for every project and building type, from residential to commercial projects and traditional to contemporary. 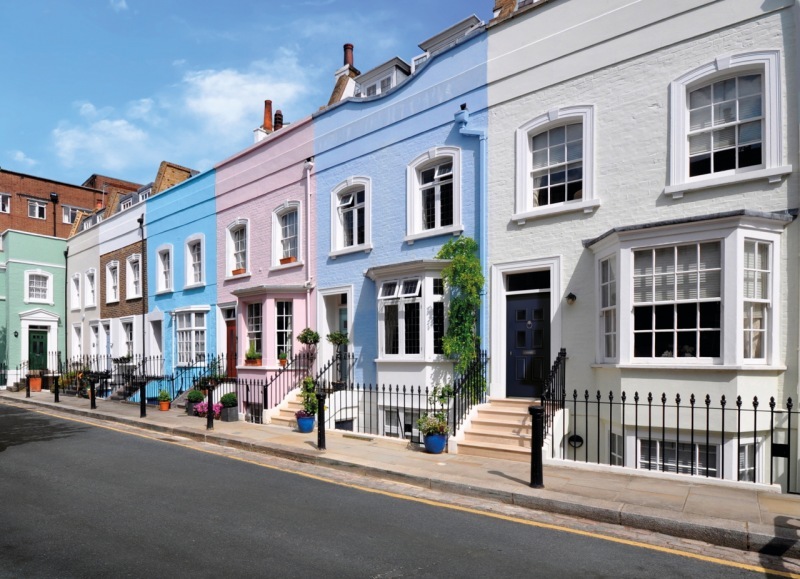 Our range of doors including bi-folding, sliding or residential front doors are robust, strong and highly secure and available in hundreds of colours and finishes. We have a wide range of Smart Systems Aluminium doors suitable for both commercial and residential projects. 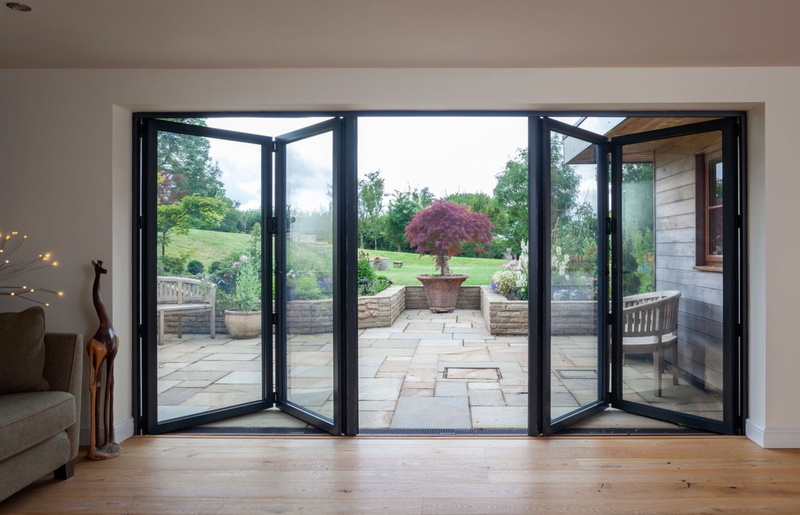 All Aluminium bi-folding of sliding doors are available in any RAL colour to suit styles and tastes. 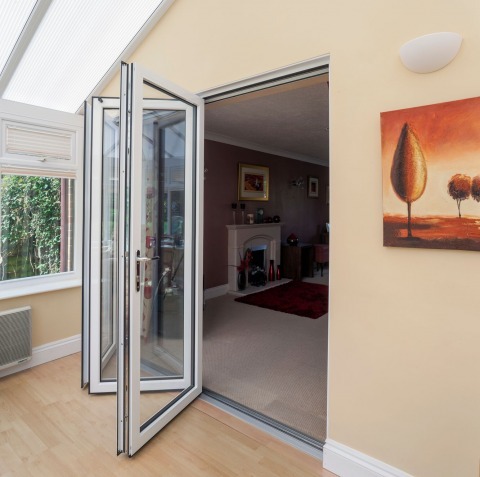 The Visofold 1000 tends to be the door of choice for many homeowners, being slim, lightweight and especially versatile. It is a popular replacement for old patio doors. These doors have attractive, slim-line profiles which offer reduced sightlines and come with a ‘lift-up’ handle and adjustable lock mechanism style. 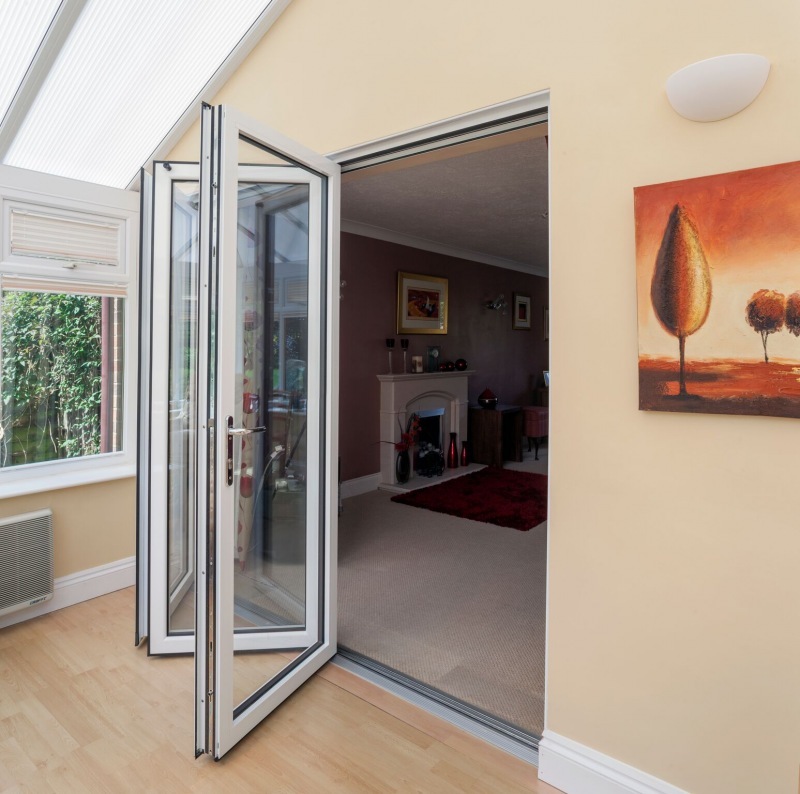 The Visofold 6000 is a high quality, high performance slide and fold door featuring slim profiles maximising light and space to give impended views. They are robust enough to be used to replace a whole section of wall to open a room fully to the outside and are often popular for larger commercial projects. Improve strength and water resistance. 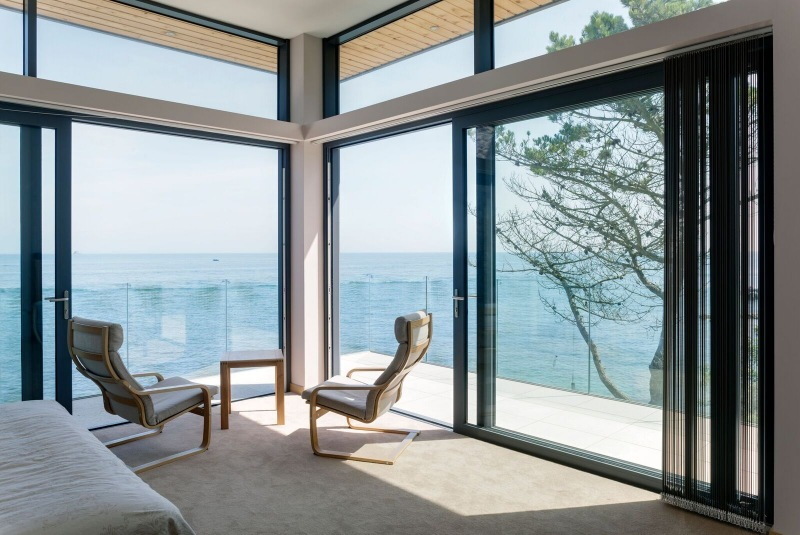 Visoglide Plus are high performance sliding doors suitable for use as either sliding commercial entrances where large opening apertures are required, or as dynamic residential sliding doors that maximise light and give stunning unimpeded views. These doors are designed to improve strength and water resistance and have a U -Value of 1.6 W/m²K based on using a sealed unit with 1.0 W/m²K centre panel. Robust performance for residential and light commercial. 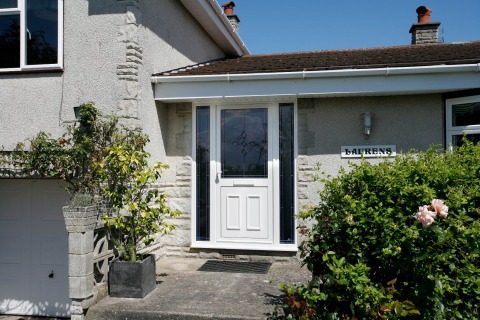 The Alitherm Plus Door is a robust performance door suitable for all residential and light commercial applications such as entrance doors to apartment buildings. 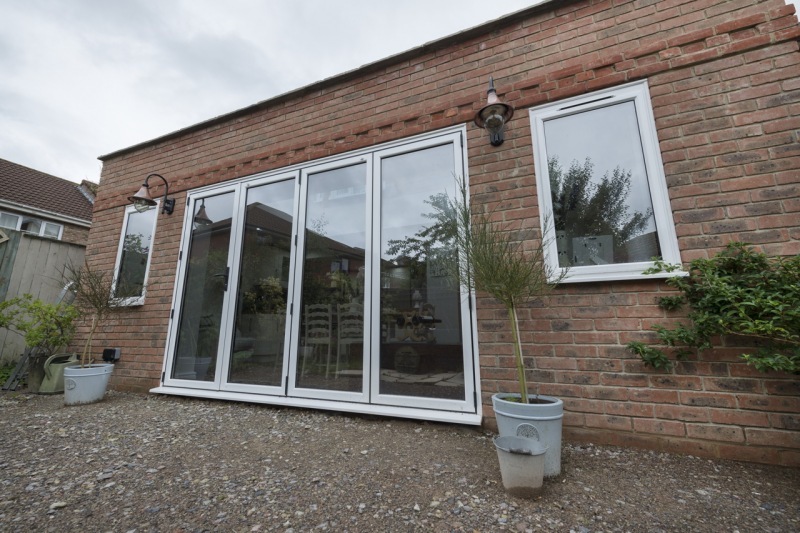 With adjustable hinges, lock keeps and also incorporating additional sash passing clearance which allows for useful on-site fitting tolerances. Style, security, performance and quality. The latest Designer Doors from Smart delivers everything you need. These new assembled ranges; Modern, Traditional, Cottage and Vintage, allow for a door to suit all types and style of home with each one meeting the exacting quality standards of Smart. The unwavering attention to detail extends to the quality of the doors hardware and locking mechanism and of course to the final lustrous finish.